On Saturday Lambeth Cyclists enjoyed a ride around London's musical, dramatic and poetic venues. 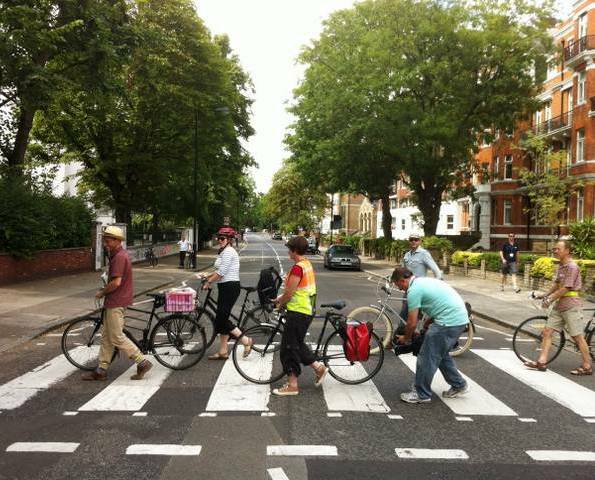 Our latest architecture ride looked at the part that London's buildings have played in inspiring and enabling artisitic works to be prooduced including crossing that famous zebra crossing outside the Abbey Road Studios in St John's Wood. Thanks to Holly and David Garrard for organising this fascinating ride.